Currently I’m running only 1 hard disk in my pc. Now I decided to install a second drive and to set my disks up in a RAID 1 configuration to prevent data loss. Here’s how I did it. When installing Windows Vista on my new pc some months ago I made a big mistake. I split the 1TB hd in 2 500Gb partitions. 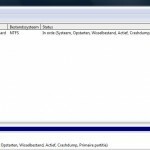 After some months, my system partition (the C-drive where Vista is installed) got full while my second partition (for me called e-drive) wasn’t even half way. For some reason my print jobs often get stuck in the queue in Microsoft Windows Vista and or XP. Cancelling or restarting the job often does not work then. A found a post in a forum by a guy called Bill who created a batch file to force the cancellation of print jobs in the queue. Automated Windows update on my Windows 2000 laptop kept asking to install the “Security Update for Microsoft Data Access Components (KB832483)” although I already installed it (many times). The problem seems to be that Windows Update wants to patch the Microsoft Data Access Components, tries it and believes that it done it, while the Microsoft Data Access version on my machine didn’t need or didn’t want to be fixed. Here’s howto leave this infinite requesting for an update by Windows. 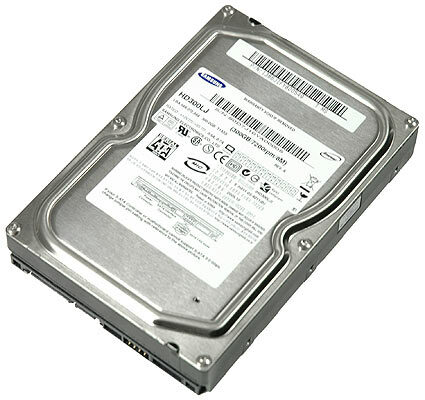 Today my new Samsung Spinpoint 300Gb harddisk finally arrived. The Samsung Spinpoint is one of the quietest harddrives on the market while being superfast and without using a lot of energy. I will use it as a backup for my files on the existing 200Gb Maxtor hd and I will use the remaining space for non-important files like swap- and temporary files. Therefore the hd has to be installed. But howto? Commands you can use to open programs through the command line in Windows XP.